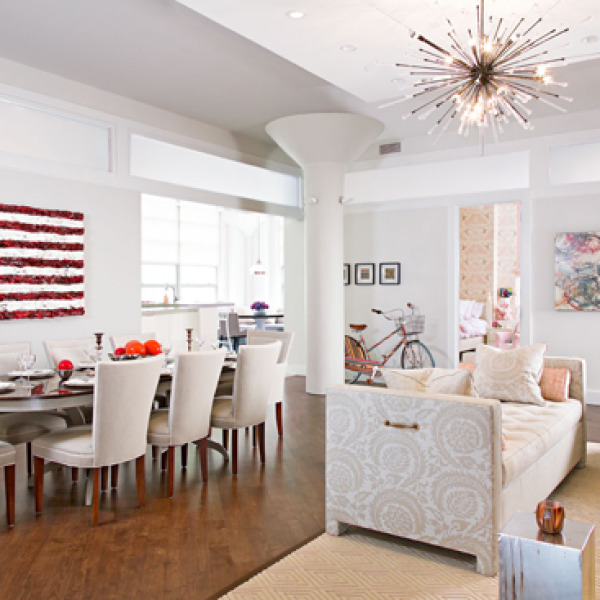 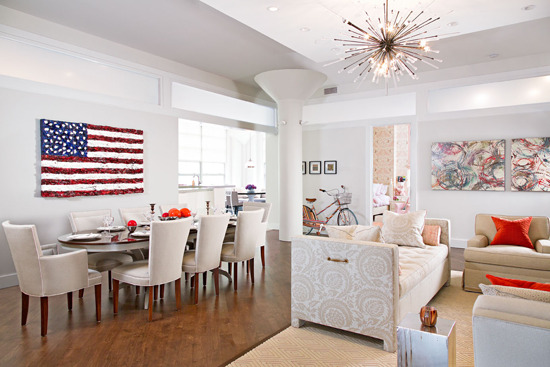 The starburst sputnik chandelier is the focal point in the living/dining room of this Tribeca Loft with Hickory Chair neutral upholstered furnishings. 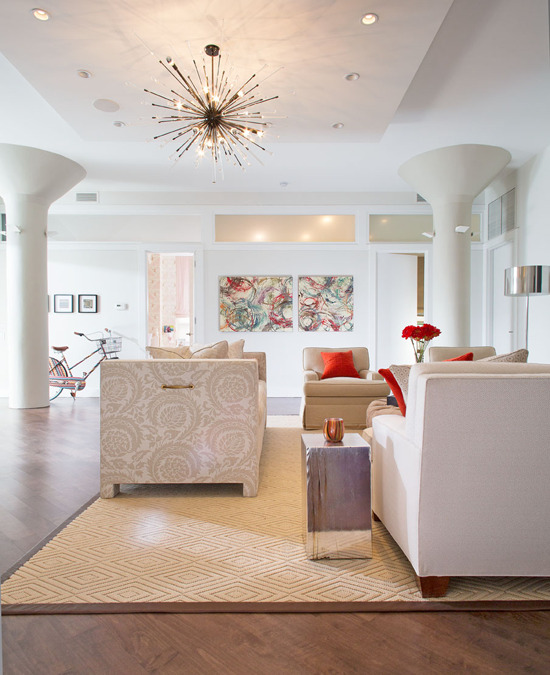 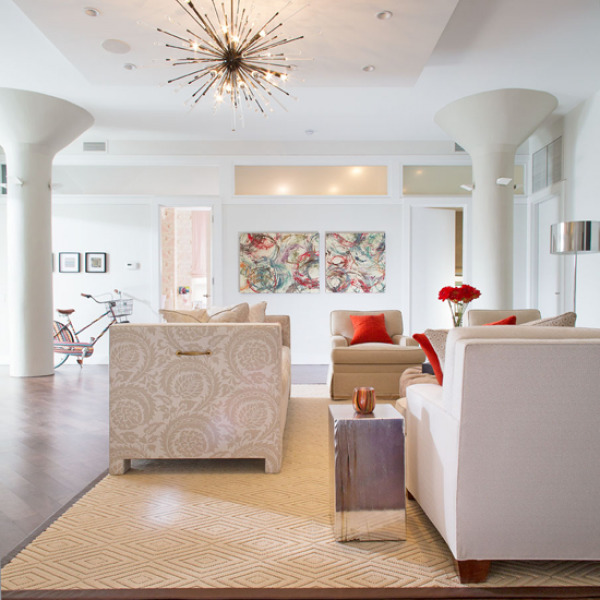 The red and orange accent colors really pop amidst luxurious neutral upholstery in the living room. 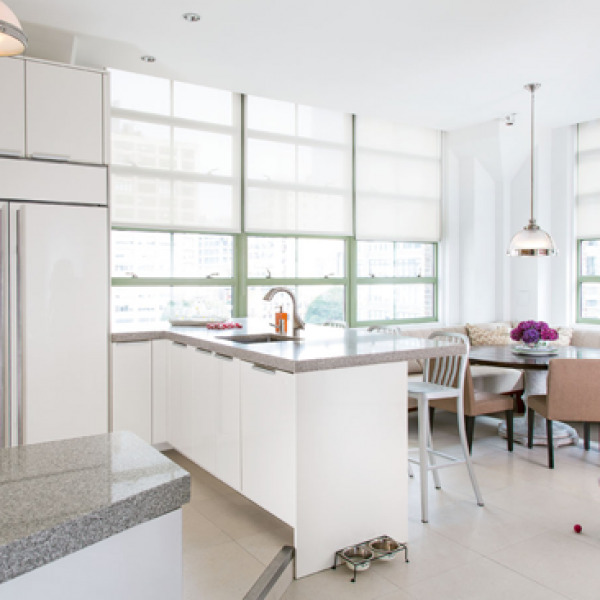 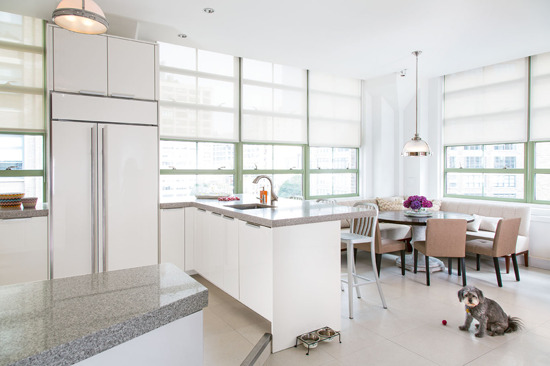 The Gomez-designed custom banquette from Hickory Chair creates casual seating/dining in the open-plan kitchen. 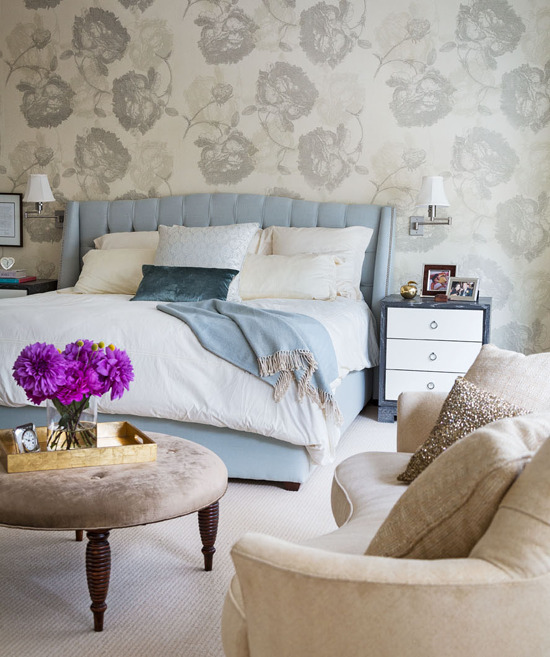 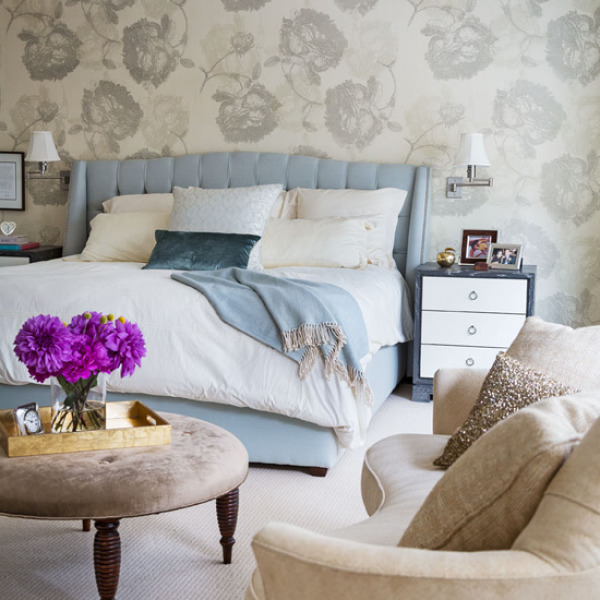 In the master bedroom, a soft pale blue tufted headboard with muted grey floral patterned wallpaper set a serene tone.